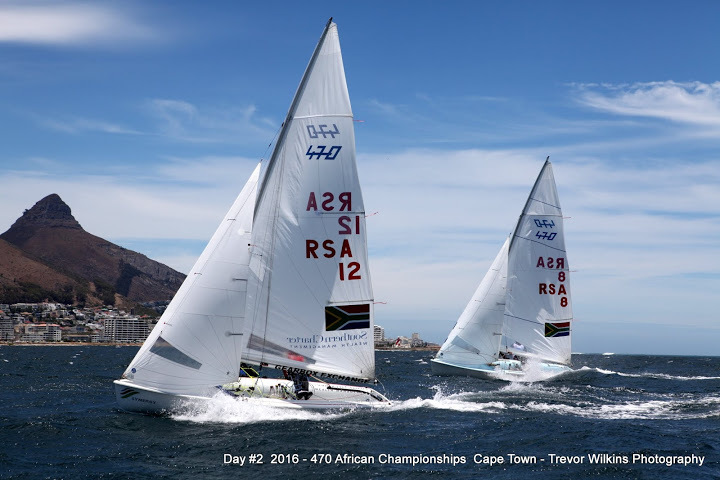 The 2016 470 African Championship was a ground-breaking moment for sailing in Africa, as the event marked the first ever African Championships and first ever Continental Olympic Qualification Event. 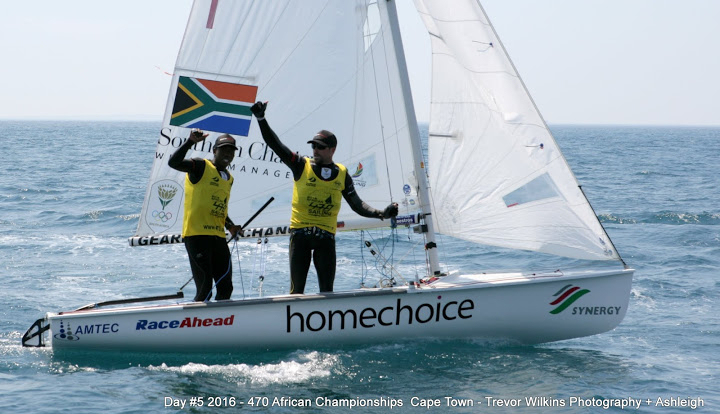 "This will make kids dream and adults believe …"
Eleven races and five days of competition saw Asenathi Jim/Roger Hudson crowned the inaugural 470 African Champions and Angola claim it’s place on the starting line at the Rio 2016 Olympic Sailing Competition. 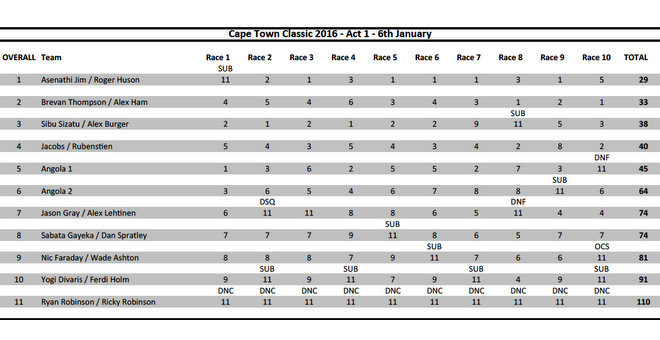 Jim/Hudson jostled for the Championship title with team mates Sibusiso Sizatu/Alex Burger, who put up a good challenge and continuously pushed the Olympians around every step of the race track. These two teams dominated the leaderboard and the overall lead exchanged hands between them on a daily basis. Onto the final day, and advantage Jim/Hudson who carried a 2 point advantage, and their clean win of the 25 minute Medal Race put victory nicely in the bag. “We feel fantastic!”, chipped in Hudson. 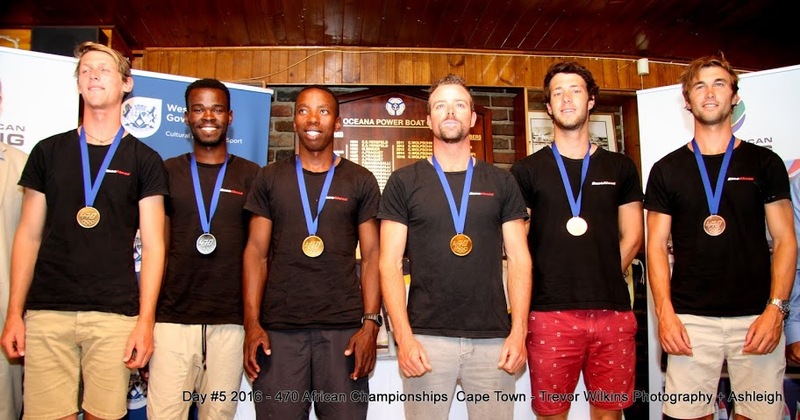 “First of all, we are really pleased that the inaugural 470 African Championships has been hosted here and that it was such a fantastic sailing event, that we had such a great variety of weather and so many people pulled together to make the event possible. 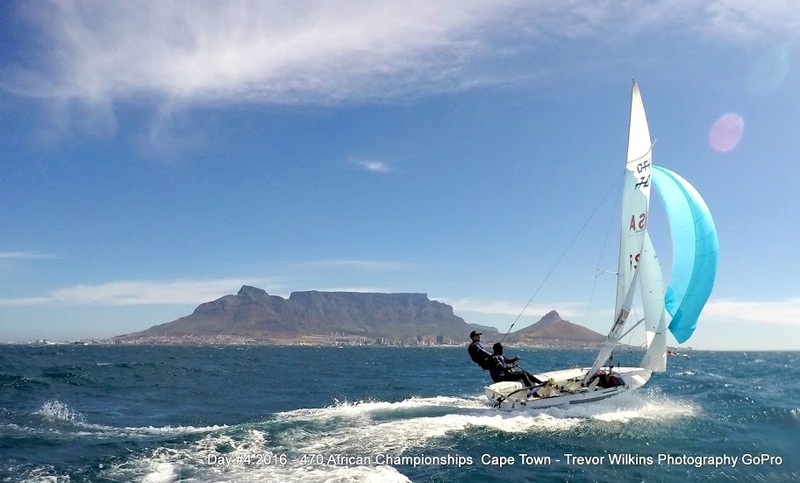 Teams from Algeria, Angola and South Africa competed in the 470 African Championship, which saw the race course set right off Cape Town’s popular waterfront area and in front of the iconic Table Mountain. Jim/Hudson secured South Africa’s place at the Rio 2016 Olympic Games during the 2015 470 World Championships in Israel last year, so the battle to claim the one African continental qualification place unfolded between the teams representing Algeria and Angola. 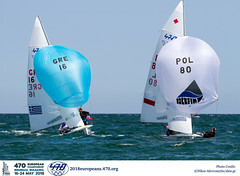 Angola’s Matia Montinho/Paixao Afonso opened their assault with a strong 3rd place in race 1 and soon held their advantage over team mates Francisco Artur/Edivaldo Torres and the Algerian pair of Hakiim Djoulah/Samir Ksouri. A consistent scoreline rewarded them with a sixth place overall to give Montinho/Paixao Afonso’s the honour of securing their nation’s place to Rio and a massive celebration of success for Angola. Their achievement marks the first time Angola has competed in the 470 Men event since the 1992 Olympic Games. However, the challenge is a long way from over for the two Angola teams, as they now face off to decide who will make it to the Olympic starting line, as Gomes explained, “The two teams who participated here are now eligible for selection, so they will train ahead of the events in Palma, and then selection will be based on merit. 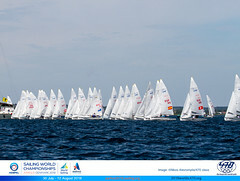 They will prepare hard, train as much in Angola and elsewhere and possibly two other European events, being Trofeo Princesa Sofia and the 2016 470 Europeans. Also, the conditions in Luanda, Angola are ideal for training, as it's very similar to Rio." The Jim/Hudson partnership are already secured to go to Rio, so their training continues to gain pace, with the pair heading off to World Cup Miami where racing gets underway on Monday 25 January. Rio 2016 will mark the team's second Olympic appearance. 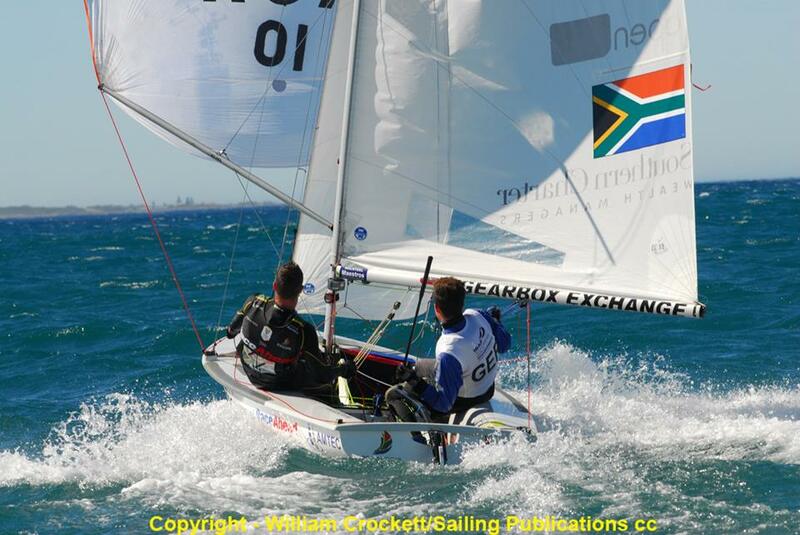 Philip Baum, President of South African Sailing was instrumental in achieving the goal of Africa hosting the African Olympic Qualification Event on its home waters, rather than at an off-continent venue. 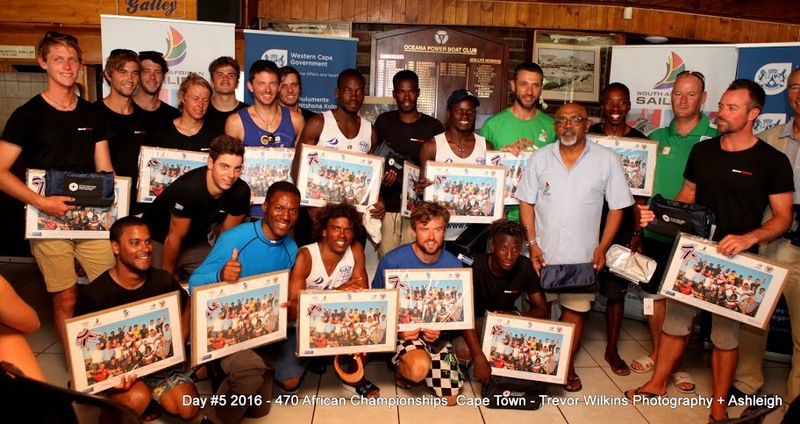 “We've hosted a very successful inaugural 470 African Championships,” Baum said, “and shown that we can pull it off. In Europe, sailing can become out of sight out of mind, but for us here it is real and tangible, and we've managed to get it into the main media streams, on prime time TV news and major newspapers. We are fortunate to have a gem in the RaceAhead Foundation, that is doing really great work, and are helping to produce the next round of Olympic sailors. 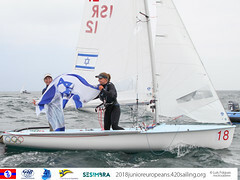 Recognizing the critical step along the road to future development of the 470 Class and sailing across Africa, Baum continued, "If we can work together and collaborate across the continent, Africa can become a formidable force in sailing, and can host multi-class international regattas going forward." 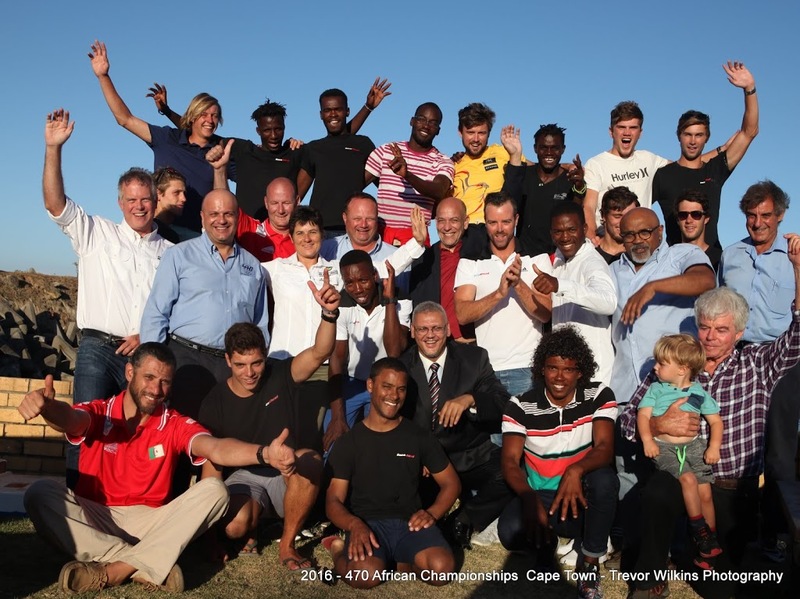 The 2016 470 African Championships is a Continental Olympic Qualification event for the Rio 2016 Olympics, with 1 nation place on offer in the 470 Men. 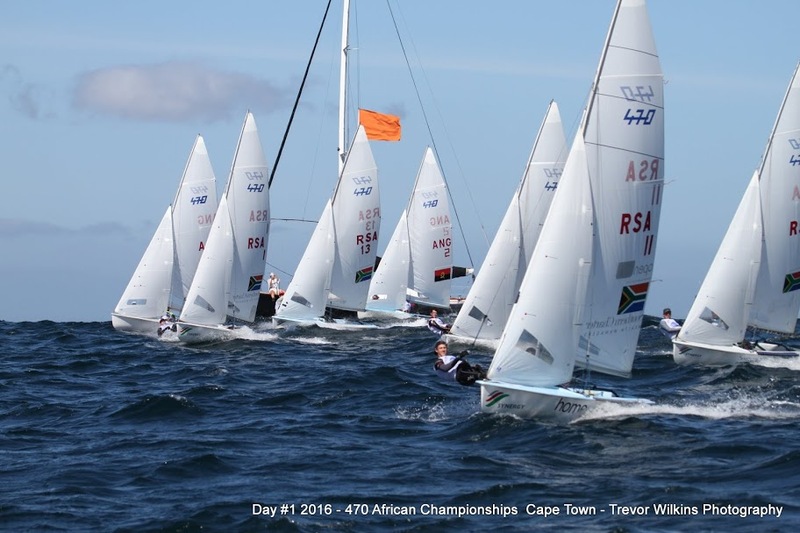 The African Continental Olympic Qualification event for the 470 women will take place during Trofeo Princesa Sofia in Palma, Mallorca with one qualification place on offer to an African nation. Find out more about qualification for the Rio 2016 Olympic Games and details of the qualified nations (as published by ISAF in December 2015) Angola will be joining in Rio 2016. The European Continental Olympic Qualification Event will also be taking place at Trofeo Princesa Sofia, with one place on offer in each of the 470 Men and 470 Women events for an as yet unqualified nation from Europe. First up is the North American and South American Continental Olympic Qualification event which will take place at World Cup Miami with one place on offer in each of the 470 Men and Women events for an unqualified nation from each continent.